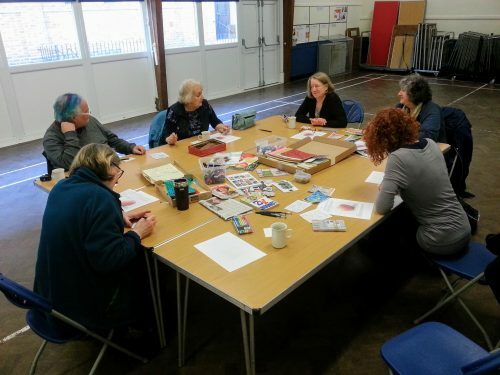 Arts with friends is a creative group that usually meets on the first Sunday of the month at St Mary’s Church Hall on Claremont Gardens, Whitley Bay NE26 3SF from 2 to 5 pm, when we explore, share and enjoy new ideas and techniques while exploring our own inner artist, no matter how uncreative or skilled you think you are. The monthly workshop costs £15 which includes materials, tutition and tea/coffee.
" There is a fountain of youth: it is your mind, your talents, the creativity you bring to your life and the lives of people you love. "